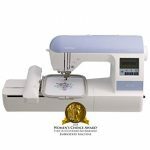 An inspired mix of basic and advanced features combined with the quilting ability makes the Brother XL-3750 a popular sewing machine amongst newbie sewers as well as more experienced sewers and quilters too! A 3-in-1 package that will carry you from learner to pro while you dabble in quilting in-between. 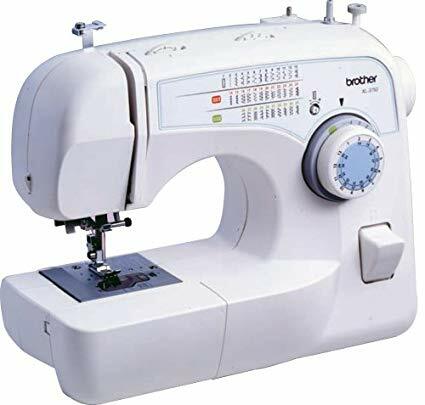 The most versatile feature of this Brother sewing machine is its innovative stitch functions, which is a kind of variation of the built in stitch. While the machine itself offers 35 built in stitches, the 73 ‘stitch functions’ allow you to transform the appearance of the stitch completely by modifying the length and width of the stitch or to going in a different direction with the stitch. Adding to the versatility is the extra wide, extra long zigzag stitch that has a maximum stitch width of 7 mm and maximum length of 5mm. Makes for some cool decorative stitches in a hurry. The latter 4 presser feet (spring action, blind stitch, narrow hemmer and walking foot) come as a free “bonus pack”. If you are purchasing this model online, make sure you the bonus pack is included in your purchase. The Brother XL-3750 comes with lots of nice, easy to use features for sewers as well as quilters. In addition, the work space easily converts into an oversized work area which is very useful when working on extra thick fabrics or quilts. Other quilter friendly features include the reinforcement function, the quilt guide and the stitch width and stitch length control. 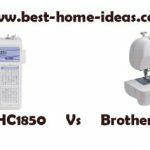 Going by reviews, what the majority of users like most about the Brother XL-3750 sewing machine is the fact that it is a dream to set up and use without having to make a zillion adjustments before starting. The bobbin refilling is simple and the automatic threading makes easy work of a sometimes frustrating process. 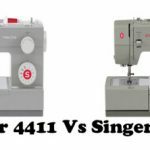 Moreover, because it is lightweight and sews relatively quietly, you can carry it to any room and go ahead with your sewing while chatting with family. The extra wide work table makes it easy to handle those heavyweight projects without doing any acrobatics. Sewers report that they have used their Brother XL-3750 to sew jeans as well as thick double fleece blankets and the machine handled it impressively. 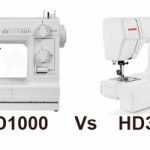 Not too many cons with this sewing machine but the few that it does have could make a significant difference depending on what you are looking for. One of the major cons is that the speed is set for a little too fast especially for novices and the foot pedal is ineffective at slowing it down. 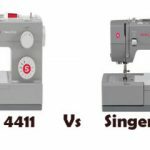 If you are not up to speed, this could be a disadvantage in an otherwise excellent sewing machine. The Brother XL-3705 has an ingenious design that satisfies novice and advanced sewers as well as quilting enthusiasts. At less than $140, this is great value for a quality product.